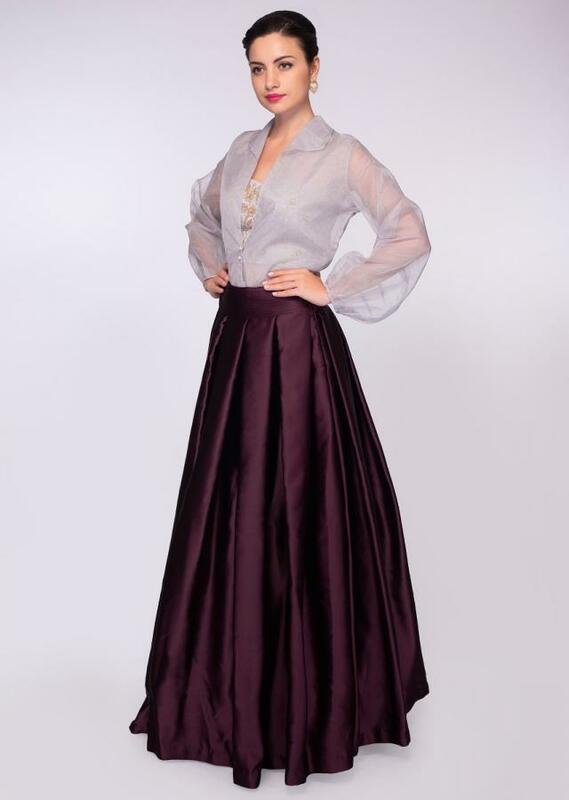 Burgundy satin crepe skirt with box pleated waistline. 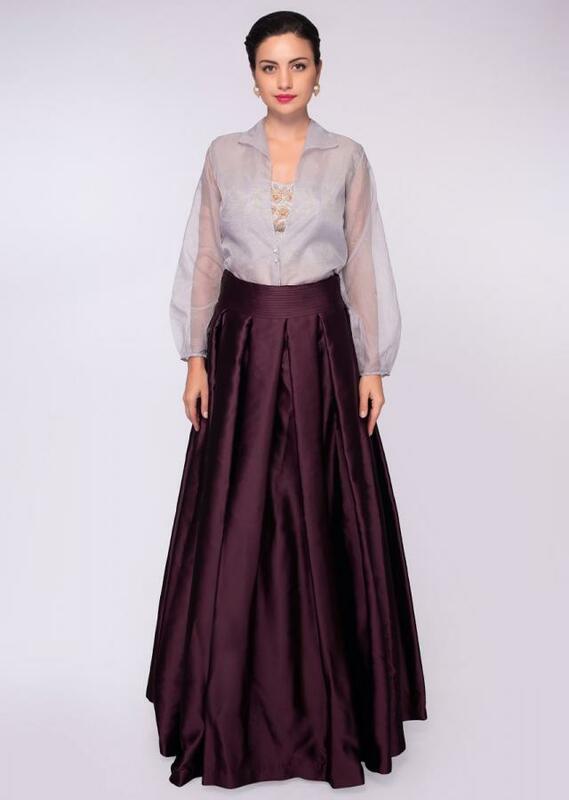 Comes with a grey strapless crop top in cut dana embroidery in floral motif and in checks with stripes at the back. 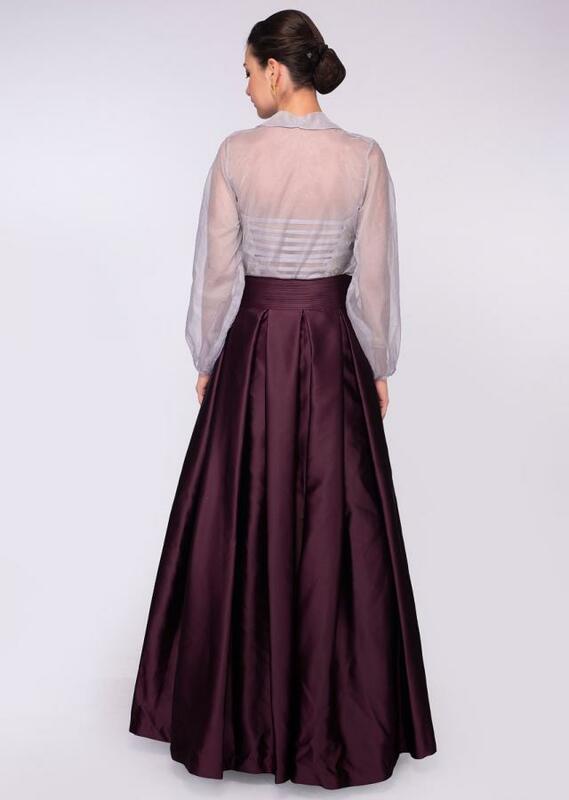 Further enhanced with grey organza jacket with collar and press button opening.